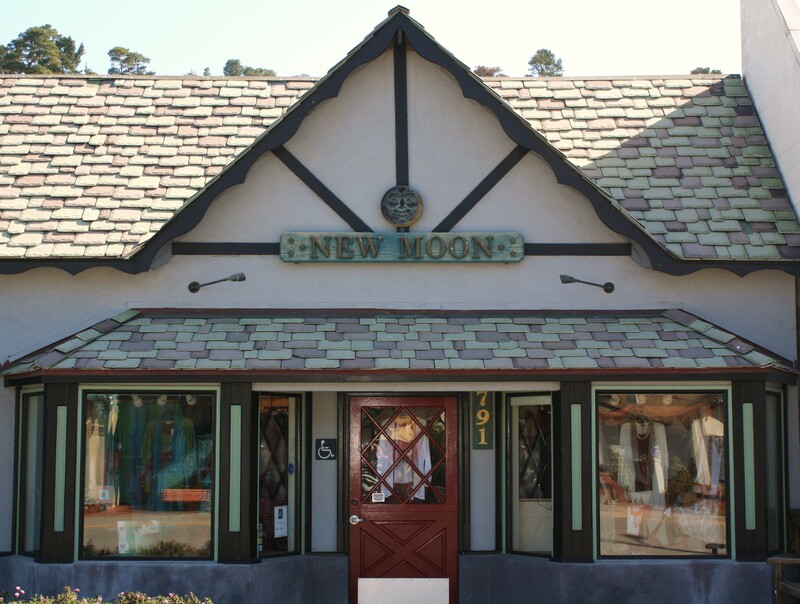 New Moon womens clothing store is located in the heart of Cambria, on the central coast of California, where the pines meets the sea. Halfway between Los Angeles and San Francisco, we are just a short drive to Big Sur, Hearst Castle and San Luis Obispo County’s beautiful world renowned wineries. Originally known as an artist’s colony, Cambria has a wonderful selection of galleries, shops, restaurants and hotels to enjoy. Leave the stress behind and wander through the forests, hike along the bluffs and search for moonstones on the beaches of Cambria – and oh yeah, stop by New Moon to say hi and maybe just find that outfit or item you can’t live without. We have been in business for over 25 years providing an eclectic mix of clothing and accessories to our customers. We carry many of your "favorites" and some new ones you should try such as Cut Loose, JAG Jeans, Kleen & Heartstring, Cubism, Gretty, Tribal and Yest, just to name a few. New Moon offers eclectic, affordable, comfortable clothing for women. After 25 years in business we think we have found the best lines, the unique items and the best fitting clothes. We add to our ever-changing inventory daily, but many of our best styles sell as fast as we can buy them, so check often and buy your favorites when you can. Remember, we are a real brick and mortar boutique. This means we have real customers trying our clothes for fit and comfort, but it also means we don’t have unlimited quantities. We are open 24/7 ONLINE, and we are available for phone orders everyday from 10:00-6:00, contact us at (805) 927-4496. If you are in the Cambria area we would love for you to visit our flagship store New Moon, and our sale store Half Moon.